We could not do what we do without help from a variety of great companies. The following lists some of our favorite equipment and resources. Please click on the following links to learn more. Drop us an email if you have questions about any of our endorsed products! 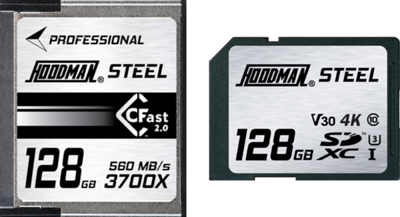 Memory Cards - Our choice for SD and CF cards is Hoodman Steel. You need reliability when it comes to your memory cards and Hoodman provides great customer service and great products. The memory cards are encased in steel which makes them virtually impossible to damage. That and a lifetime warranty make Hoodman our memory cards of choice. Visit the Hoodman website. Tripods - For local work we like Induro tripods with BHS2 Ballheads. For traveling we carry Mefoto Globetrotter 2350's. Both of these brands are lightweight but very sturdy. They keep our cameras grounded! See what I did there...Visit the Induro Website. Visit the Mefoto Website. Bags - We have been searching for "the perfect camera bag" forever and though we have yet to find "The" bag, we use several that do the job well. My main bag is is the Case Logic SLRC-206. Holds everything I need plus it is great for trips and fits under an airplane seat. Renae's back pack is the Ape Case ACPRO 1800. This bag is slightly smaller than the Case Logic but has ample room for all of the necessities and also fits nicely under an airplane seat. We also use the Lowepro Inverse 200 AW which is a comfortable waist bag that doubles as an over the should bag as well. This bag holds a Canon 5DSR or Mark IV with a 70-200 2.8L attached plus room for a 24-70 2.8L inside the bag. This bag works well for concerts and local work. Check out the Lowepro Website. Check out the Ape Case Website. Check out the Case Logic Website. Camera Straps - All of our cameras are equipped with Peak Design Clutch's. These are great straps that mount to the side of the camera and slip over your hand. You still have full access to the camera controls but you also have added security for hanging on to the camera. They are also a great fatigue reliever and give your hand a break between shots. Well, they don't break your hand...never mind. Check 'em out at the Peak Design Website. For concert photography, the ideal scenario is two cameras. One with a 24-70 2.8L and the 2nd camera with a 70-200 2.8L. But how do you carry and work with 2 cameras? Enter the Blackrapid Double Breathe dual camera strap. This awesome double strap allows you to easily manage two cameras comfortably. Check this bad boy out at the Blackrapid Website. Post Production - If I had a nickel for every hour I spent in a darkroom all through high school and college I'd be a rich fella! Fortunately processing photos has evolved over the years and our go-to post production editing is accomplished in Adobe Lightroom Classic CC. Learn much more at the Adobe Lightroom Classic CC Website. Odds & Ends - Best way to clean your lenses and camera? No question - get yourself a black (or red) Giotto Rocket Blaster! Take a look at the Giotto Website. I can't really explain this one - you just NEED this for your camera or cameras! We have the Custom SLR ProDot Shutter Button Upgrade installed on all of our cameras. It makes capturing photos even more of a pleasure. Trust me on this one. Take a look at the Custom SLRWebsite. Ever tried to focus on stars at night looking through your camera viewfinder? Or how 'bout ultra sharp focusing when doing macro photography? Want some help? Get yourself a HoodLoupe! Ultra-sharp focusing will be a breeze once you use this great focusing aid! And if you happen to live in a sunny environment get additional help with a great HoodEYE eyecup from Hoodman to help block that pesky sunlight! Check these great products out at the Hoodman Website. Ear Plugs! If you shoot concerts good quality ear plugs are a MUST! After trying a variety of different ear plugs from several manufactures our favorite by far are the ER20XS-SMF made by Etymotyc. We can shoot photos for hours standing in from of a stack of speakers at the edge of the stage and our ears are 100% protected! The cool thing is that even though our ears are completely protected the clarity of the sound is amazing - we can still enjoy the music without losing any fidelity! And yes, they are comfortable to wear for hours at a time! Learn more at the Etymotyc Website.